The Public Service Loan Forgiveness (PSLF) program was established as part of the College Cost Reduction and Access Act of 2007 to encourage borrowers of direct federal student loans to work as employees of government and non-profit institutions. The rules of the program were not very well-understood or publicized for the first few years the program was in place. However, within 3-4 years, bloggers and journalists, along with their readers with direct federal student loans, began to recognize the substantial potential benefits of this program and made plans to take advantage. The potential benefit is largest for those with the highest loan burden — indebted physicians and dentists. As tuition skyrockets and word of the program spreads throughout educational institutions, it is no surprise to see in a 2018 survey of medical school graduates that 45.7% of them plan to enter into a loan-forgiveness program. This is an increase from 39.7% in 2014 and just 11% in 2010. The key to having a large amount forgiven is to make as many relatively small payments as you can during that time period. For a typical physician, this means payments made during residency and fellowship. The earlier payments start being made, and the longer the training period, the more that will be left to forgive after 10 years. 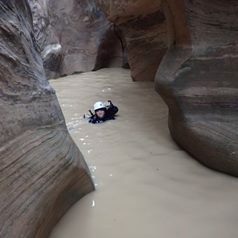 Canyons are always better with water. However, a few events over the last few years have given students, residents, and even attending physicians pause about relying on this program. In its 2015 budget, the Obama Administration proposed limiting the amount forgiven to just $57,500. Also proposed was eliminating the cap on income-driven repayment program payments. Either of these changes alone would make the program dramatically less useful to high-income professional school borrowers. The 2016 Republican budget proposed eliminating PSLF for all new borrowers. In December 2016, it was reported that a number of attorneys who thought their jobs would qualify for PSLF found out that they would not. Four individual plaintiffs joined with the American Bar Association to sue the US Department of Education, arguing that the department retroactively changed its definition of qualifying employers. The litigation is ongoing at this time. The Trump administration has also proposed removing PSLF for new borrowers in its budget. The PROSPER Act, which is currently stalled in a House committee, proposes the same. More recently, it was widely reported that the Government Accountability Office to Congress found that less than one percent of those who had applied for PSLF so far had actually received forgiveness. With each news item, those already enrolled in the program or planning to take advantage of it worry a little bit more. 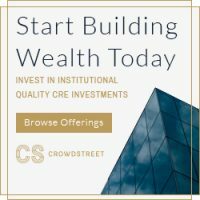 In fact, some doctors who would otherwise qualify for PSLF have decided it isn’t worth the worry and have essentially exited the program by refinancing their loans at a lower rate with a private lender. Opinions are mixed between PSLF being a simple “bait and switch by the government,” to “the government purposely making it difficult to receive forgiveness to save money,” to simple bureaucratic incompetence. Evidence in the Government Accountability Office report suggests one or both of the latter two theories is correct. But whether the number is 0.28% or 1.09%, there are only two explanations for this abysmal percentage. The first is that the borrowers are incompetent. They simply didn’t read the rules and follow them. There is some suggestion in the report that this is true. For example, over 40% of the processed applications revealed that the borrowers had not made 120 qualifying payments. Many applications were not even filled out completely and sometimes borrowers had filled out an application but didn’t even have qualifying loans. Anyone who has spoken with a reasonable number of borrowers is aware that many are simply ignorant of the requirements of the program. After committing to an academic job coming out of fellowship, I transferred all my loans to FedLoan and submitted all necessary paperwork and waited patiently. Fast forward over a year later, I have yet to get a single confirmed payment towards PSLF even though I’ve actually been using them now for that same period of time. I make monthly calls to them and the answers are always along the times of “We are still reviewing past payments”, “it’ll be another *** amount of time” (which varies from 2 weeks to 1 year), etc. They have confirmed that they definitely have the papers in order and I definitely have the correct payment plan and am in an eligible repayment plan…I have a friend in a very similar situation who did get their payment count back (after several months) but due to some technicality based on prior loan consolidations they said only half his loans were eligible. He then refinanced the loans that did not qualify only to hear back from FedLoan months later that “actually they had been eligible” they just weren’t done computing everything….This is a highly motivated and highly informed person and as far as we can tell was not based on miscommunication or ignorance but inaccurate information given out by FedLoan. As the GAO report and plenty of anecdotal evidence attest, there are serious issues with BOTH borrower understanding of the program AND with administration of the program. Hopefully, as time goes on there will be an improvement on both sides. However, given the significant legislative risk (administrations from both major parties have now proposed severely limiting or eliminating the program), the program may not be around long enough to truly work out the kinks. So what is a borrower to do? I have five recommendations. A few people, upon learning of loan forgiveness programs like PSLF, consider borrowing even more money than they need. If the loans are going to be forgiven anyway, why not borrow as much as you can and pay as little toward it as possible? This is ill-advised for two reasons. 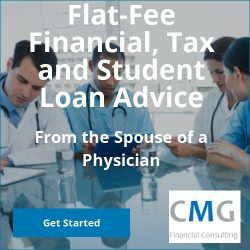 First, most medical and dental students are maxing out their direct federal loans anyway, so any extra loans they took out would not be eligible for PSLF anyway, they will be private loans. Second, in the event that something happens to the PSLF program and the borrower is not grandfathered in, the borrower will end up paying all that principal and interest back. A professional student who wishes to become financially successful should live as frugally as possible, knowing that everything paid for with borrowed dollars may cost two or even three times as much due to the effects of compound interest by the time the debt is paid off years later. Since PSLF could be worth hundreds of thousands of dollars to a doctor and it appears that the loan servicing companies are having trouble keeping track of payments, it is critical to keep track of all of your payments yourself. Just like the attorneys suing the Department of Education, you may later be party to a lawsuit and you’ll want to make sure you have the evidence you need. Even if it doesn’t go that far, it will be a lot easier to prove you made your 120 payments if you actually have your own set of records of those payments. Although not required, the PSLF certification form should be filled out every time you change employers and at least once annually. Keep a copy. Technically, this form can be filled out retrospectively, but when so much money is on the line, it pays to be on top of all the details. Possession of years of forms certifying your participation in the program may also come in handy in the event the program changes and you wish to be grandfathered into the old terms. Negative news about PSLF has caused many to abandon their course toward PSLF, essentially being scared out of the program. True pessimists might argue this is intentional on the part of the government to reduce costs, but either way, it has caused a lot of people to lose out on the promised benefits. It would be very unusual for a program change like this to occur that did not grandfather in those already enrolled in the program. In addition, PSLF is mentioned in the promissory notes — legal contracts between the borrower and the lender. Even if Congress or the Department of Education changes the program and does not make provisions to grandfather in current participants, those borrowers should have an excellent legal case that should at a minimum result in a significant settlement. The ultimate backstop, of course, is the ability to pay off your loans without the aid of the government. Most high-income professionals can, by living very frugally, pay off their student loans within 2-5 years of the completion of their training. Even those who are going for PSLF should still plan to do this. However, those payments should be made into their own investing accounts. This way, if PSLF is changed and they are not grandfathered in, or if they simply change their professional plans, they can move on with their lives with minimal financial consequences. The only cost in this situation is the difference between the interest rate they paid to the government and the interest rate they could have refinanced to with a private company. Do you agree with my take on the future of PSLF? Comment below! Completely agree with your take on this. Even if the government decides to get rid of PSLF, I believe that those already enrolled will be grandfathered. I am not sure what would happen to those who are currently in medical school with intentions of doing this, though. I have a couple of colleagues that I’ve been hounding about certifying their PSLF paperwork annually. With busy clinical jobs and life at home, it seems challenging for some people to keep up with all of the hoops that must be jumped through for this program. But, if they stand to be forgiven several hundred thousands of dollars – it seems worth it. Of course, my fear is that people skip the PSLF side fund and inflate their lifestyles while they bank on PSLF (and are too busy/distracted to fill out the paperwork) just to find out later that something was amiss. Instead of having $300,000 in loans this number may have compounded to $400,000 or $500,000. Without a side fund, this can be a crippling number. This is why I think living frugally for a few years after training, even if you plan on doing PSLF, is critically important. When people realize the amount of money they’re talking about is a year’s worth of earnings, perhaps they will be able to dedicate a little more time and effort to learning about and actually performing the tasks required. I agree you need to live like a resident no matter your PSLF plans. This all gives me palpitations. Everytime I read an article about PSLF I get a sinking feeling that I am doing something wrong, get a little anxious, double check everything again and then calm down a bit. I look forward to the day they are gone. I might be in the minority of FedLoan users but I’ve had a reasonable experience with them. I just submitted another certification form and have 71 payments!!! I submit once a year or whenever I change employment. It looks like they recently started sending out a sunmary of qualifying payments as well. No mistakes on mine. Good luck to everyone battling this monster! Glad to hear no mistakes on yours. The anxiety is real though; I’ve heard about it from many. Some have even “freaked out” and just refinanced and starting paying them off even though they should qualify for PSLF, just to get rid of the anxiety about possible unknown future events. I enrolled in PSLF July of last year, and was very excited about it. However, after knowing that ~1% of those applied were forgiven, it made think a lot about this. Even I continue with it and set aside money in a safe fund, I’ll still be screwed given the interests being charged on high amount of the loan. moreover, based on IBR, I’m ready paying a lot due to my high income. Whereas, if I start aggressively paying off my loans, I’ll be debt free within 4-5 years (based on my plan), and I won’t expose myself to risks. The main thing is, I hate unpredictable events, and I cannot wait for another 9 years to figure out whether I am going to be forgiven or not. I am just going to pay it off. Luckily my employer has loan repayment help program and I’m taking advantage of it. Yes, you’ve recognized the risk in the “side fund” strategy. Calculate out how much extra interest it would cost you and decide whether you’re willing to risk it. What company offer loan repayment programs? So one thing does not figure at all. One of the repayment plans listed as “qualifying” is the Standard 10 year repayment plan. That’s 120 payments. It’s a mute point, you will have already paid back your loan. I just consolidated my various government loans into one big honking one choosing the standard repayment plan. For some reason they put me on the Standard plan alright – a 30 year one. Payment amounts are great but wow, that total interest paid is something else! Is this the Standard payment plan you are speaking of? No. The only standard payment plan whose payments count toward PSLF is the 10 year one. Yes, if that’s the ONLY plan you make payments under, you will have nothing left to forgive after ten years. But if you’re in an IDR plan (and residency) for 5 years and then the 10 year standard plan for 5 years, there should be something left to forgive. THE PAYMENTS YOU ARE CURRENTLY MAKING WILL NOT COUNT TOWARD THE 120 REQUIRED FOR PSLF. Shouldn’t users also be encouraged to save for the tax liability when the debt is forgiven? Is everyone aware that forgiven debt is considered income, or will we have a rash of outrage articles like below? While forgiveness of $100 to $200K is something to celebrate, the entire amount forgiven could be at your marginal rate – if you don’t have money saved to cover the taxes, your celebration could be short-lived. PSLF is tax-free. Your concerns are valid for IBR/PAYE/REPAYE forgiveness after 20-25 years though. There is a tax bomb associated with that. But not with PSLF. I have been battling mistakes on my PSLF payment tracking for over a year. I have over 7 years of qualifying payments. All my previous employment and loans have been verified to qualify, and I have been sending in annual employment certifications and had been monitoring my payments on MyFedLoan.org. Just over a year ago, I signed into MyFedLoan.org as part of my monthly routine, and noticed that the number of my qualifying payments had dropped by over 2 years worth! I obviously freaked out and called Fed Loan Servicing’s customer service line. They told me “that’s weird,” and said that they would initiate a “manual review” of my account. I have continued to call and check back every month since then, only to be told that it should be any day now that my account review should be completed. I asked one customer service agent what would happen if I hit my 120 qualifying payment but my online account didn’t reflect it? She told me she’s sure my account will be updated by then. (It’s been 1 year and 4 months since she made that statement) She did verbally verify that they had all my information and that I will be eligible for forgiveness in October of 2021. So yes this is all very nerve-wracking. There are some signs that Fed Loan Servicing is trying to up their game. Their website is constantly being updated to include more information and options regarding PSLF. For instance, previously there was no link to apply for PSLF unless your account showed 120 payments. Now there is a link for you to apply for forgiveness whether or not your account displays 120 payments, and they will “manually review” your account if you feel your payment count is in error. The customer service agents seem to have a little more information about my account every time I call, however it still feels like I’m getting the run around. I’m starting to think that even if my loans are forgiven, it’ll take at least 2 years from the day I submit a forgiveness application until it is actually forgiven. This is my exact scenario. The good news is you still have 3 years for them to work out the kinks. I have similar scenario though not as many years into program as you. Last time I called they told me that they are handling recounts based on how close to 120 payments a person is regardless of when they called to request recount (I’ve been waiting >2 years for my recount). It’s maddening. Sounds like it is time to hire some more counters to me. 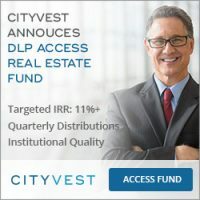 I am a current resident making payments on an IDR and recertifying each year with the eventual goal of PSLF. My concern is that many post residency jobs may not qualify for PSLF. My understanding is that even at academic medical centers, MDs are paid through a physician group that is separate from the non-profit status of the hospital at large. Is this accurate? For those of you out of residency that remain eligible, what types of positions do you have and is there any resource to find out what positions exist that are eligible versus those that are not?Thank you. That is true at some but I wouldn’t say most academic medical centers. I’d say employee status is far more common. Obviously it matters (although there are some that argue it doesn’t, but I wouldn’t count on that working.) I don’t know of a great resource on this info, but what would you do with the info anyway? It’s not going to change anything you do until you finish residency is it, and then you’ll know if your job is a 501(c)3 employee job or not. Thank you for your response. While there may not be anything actionable from that information, if I were to find out that the likelihood of employeement at a 501(c)3 in a region or specialty that I plan to practice in is very low, then I would strongly consider refinancing while in residency. In line with the title of this post, I don’t want to “give up on PSLF” but if the odds of finding an eligible position post-residency are not favorable, then it may make sense to look into refinancing now. With the possibility still alive I’m continuing to minimize my payments and the effective interest rate through the interest subsidy from REPAYE. Although this is the ideal strategy for PSLF, it may not end up being the right move if I end up being unable to find a position that is eligible and refinancing/repaying down the line. Outside of asking indivuual people or employers, I can’t think of a way to find this information out. If anyone does know any statistics on 501(c)3 physician employers by region or specialty that may be useful for people in this considering this decision. There are a lot of unknowns in this equation, but I always think more information is better. Thanks! You should already refinance your private loans and even if you could, you probably shouldn’t refinance your federal loans as the effective rate under REPAYE as a resident is likely lower than the rate you can refinance to. That’s why I said it isn’t actionable. I was also thinking along the same lines as the previous commenter as a current PGY1 trying to weigh the pros/cons of refinancing now with SoFi resident option vs continue down the PSLF path with REPAYE as I currently am. In REPAYE, low earners with high debt may have some of their interest each month forgiven. So if you have an interest rate of 6% on a debt of $200K ($1000 a month in interest) and payments of $0/month, you would have $500/month in interest forgiven. That would make your effective rate 3%. So if you can only refinance to 5%, you’d be better off in REPAYE because the effective rate is 3%. If you’re not sure if you’ll work for a 501(c)3, stay in REPAYE until you are sure you won’t be working for a 501(c)3. You can refinance your private loans of course. 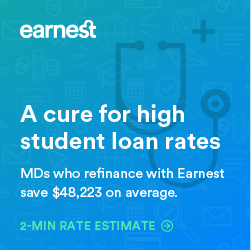 hopefully, the Department of Education in Washington will forward with their plan to forgive all student loans regardless of how long it takes for struggling students to have their outstanding student loan debts forgiven. I strongly agree! I believe that having a copy and keeping the receipts or records of the payments is a must. This will definitely help you secure yourself and you can use these records as proof. Thanks for sharing this article. Hi Jim, I was wondering if you had any more information on how people are handling problems with PSLF. We have been making regular payments for 5 years– supposed to be 60 payments now, but as we started to look into our file in closer detail, they have revealed that a number of these payments have not counted towards the 120. Even though we are on direct debit and don’t ever miss a payment. In fact, if you pay more than the monthly payment, it hurts you because next month they deduct less (automatically), and so the second payment doesn’t count. Regardless, without that, they still seem to be randomly choosing which of the payments actually count towards to 120 and which don’t. We have called customer service and gotten the run around. Do you know if there is legal help to try to straighten out what’s going on? Thanks greatly. You can try this guy, tell him I sent you. I’m trying to recruit him as a site sponsor. Keep careful records obviously because it might require legal action to get what you deserve!